The BRAUNSCHWEIG PROJECTS group is leaving town. 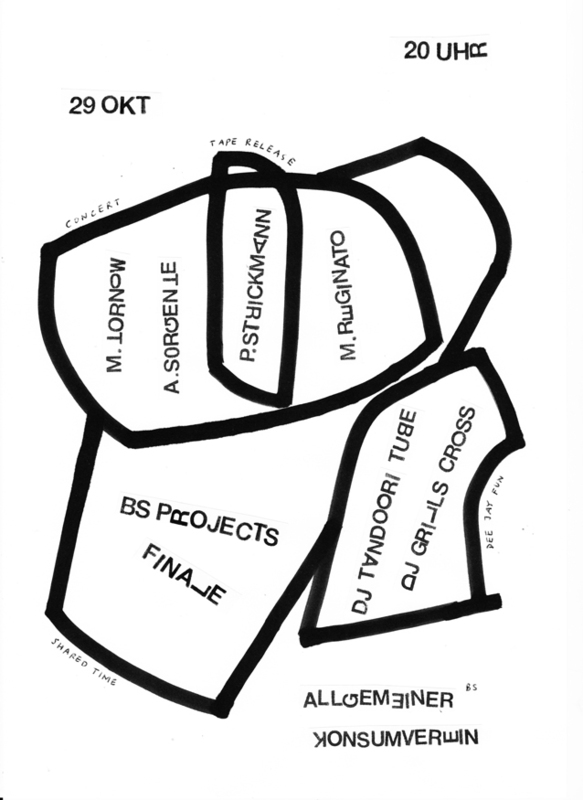 We, the 8 artists of this residency program, are saying „good bye Braunschweig“ and host an evening with some live- and dj-music. Come along, give us a hug, recieve a hug, enjoy together with us: some of our last hours in town.